SCVHistory.com | Placerita | County Geologic Report on Placerita White Oil, 10-3-1974: Fig. 6. Fig. 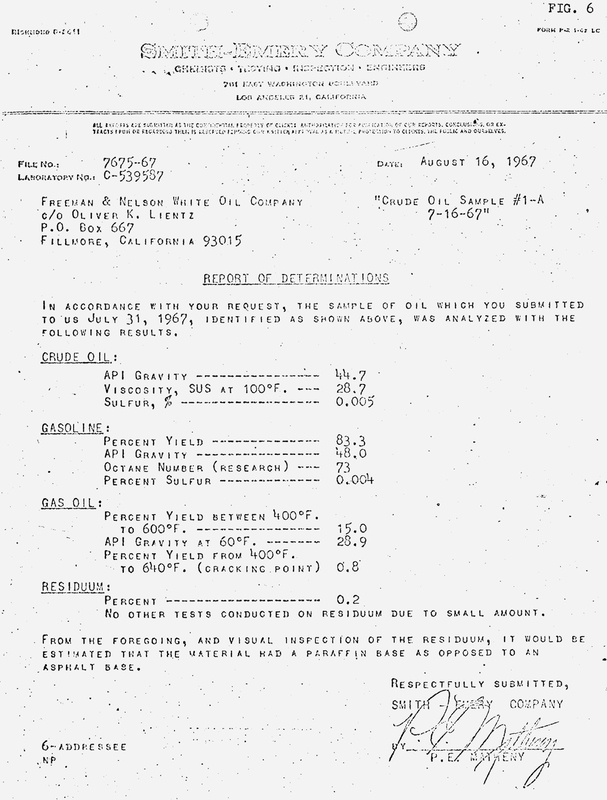 6: Smith-Emery Company analysis of 1967 oil sample .